Last week I heard a story on National Public Radio. They’ve been doing a series of audio postcards. A man was talking about living in a Christian community and had a wonderful evening with his friends singing and dancing and praising God. He spoke and sang in tongues just like his friends. But while he was praying in tongues he said he was contemplating the purpose of a form of prayer that he did not understand and was wondering if God understood. The night wound down and the folks went to their separate sleeping quarters. He said that he sat bolt upright at 4 am. This was very unusual for him as he was a sound sleeper. He got up and walked to the kitchen and headed for the basement. He did not know why, but he felt an urgency to go to the basement. There he saw that a water pipe had burst and was leaking and starting to flood the basement. He found the main shutoff valve. Then began the task of mopping up. He stayed up until 7 am. He found a phone directory and called the first plumber listed. The plumber said that he happened to have a cancellation and would be right over. The plumber put a patch on the pipe and the house had water again. This all occurred before the other residents were awake. 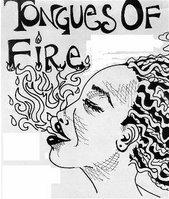 Speaking in tongues or Glossolalia has been a controversy in the Christian Church since before the Second Chapter of Acts was written. Some folks feel very strongly against this type of prayer and others feel quite the opposite. Some folks that pray in tongues feel this is to be done quietly and in private while others not just speak in tongues but practically shout in tongues. While some feel that the language they are speaking is actually a foreign language. This would be categorized as Xenoglossia. This would be more in line with what actually happened in Acts verse 2. However Paul later goes on to describe the experience as speaking in an "unknown tongue". In 1st Corinthians 14:2 The King James Version has word 'unknown' in italics, indicating the word "unknown" does not appear in the original Greek manuscripts. 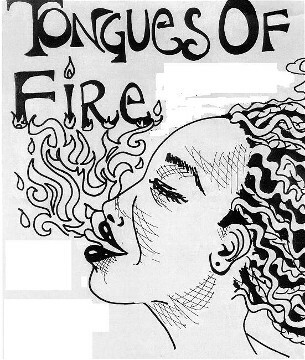 Paul refers to tongues again in (1 Cor 14:14-19), known as theopneustic glossolalia. Although the Apostle Paul commands church brethren, "Do not forbid speaking in tongues" (1 Cor 14:39), and that he wishes those to whom he wrote "all spoke with tongues" (1 Cor 14:5) and claims himself to speak with tongues more than all of the church at Corinth combined ("I thank my God I speak with tongues more than you all" 1 Cor 14:18), Paul discourages simultaneous speaking in tongues directed at people rather than God, lest unbelievers think the assembled brethren "mad" (1 Cor 14:23, 27). Tongues, says Paul, is speaking to God, rather than men, mysteries in the spirit (1 Cor 14:2), edifies the tongues-speaker (1 Cor 14:4), is the action of the praying of a person's spirit (1 Cor 14:14), and serves to bless God and give thanks (1 Cor 14:16-17). Biblical descriptions of persons actually 'speaking in tongues' occur three times in the book of Acts, each time coupled with the phenomenon of the Baptism with the Holy Spirit. Some of the Orthodox hymns sung at the Feast of Pentecost, which commemorates this event in Acts, describe it as a reversal of what happened at the Tower of Babel as described in Genesis 11. In other words, the languages of humanity were differentiated at the Tower of Babel leading to confusion, but were reunited at Pentecost, resulting in the immediate proclamation of the Gospel to people who were gathered in Jerusalem from many different countries. We are living in times when Christians are facing worse persecution than the days of the Roman empire. Whether one congregation says praying in tongues is not in accord with our interpretation of Scripture or another says yes it is Scriptural seems to be a very small point in the scheme of things.